Please note that public entry to the Castle will only be possible via the Shire Hall entrance from 7th January 2019. This is to allow for hard landscaping and construction works to the lower courtyard. Guided tours will start from the Shire Hall while these works are underway. 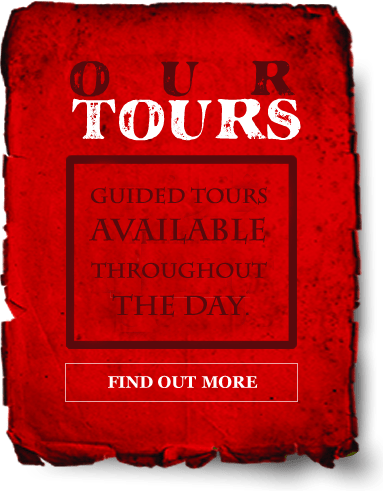 Please also note that there will be no access to the former prison for guided tours on Wednesday 24th April 2019 while essential works are undertaken. Lancaster Castle's origins date back almost 1,000 years. This Grade 1 Listed Building occupies a city-centre hilltop location on the site of three successive Roman forts and has been described by English Heritage as "not only the North-West's most important historic and archaeological monument but also of international importance". England's dark history, with tales of persecution, incarceration, punishment and execution, has been lived out over the centuries within the confines of Lancaster Castle. And now, after almost 1,000 years as an imposing and impenetrable place of penance, the castle's magnificent John o'Gaunt gates have been swung open to unlock a veritable vault of intrigue, interest and interaction for visitors of all ages. 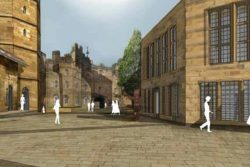 We are happy to accommodate documentary, drama or full-scale movie crews for filming at Lancaster Castle. As well as the atmospheric medieval castle areas we also still have the intact former HM prison cells and walkways, in use until as recently as 2011.